Aluminum Eavestrough repairs services in Uptown Toronto & GTA. 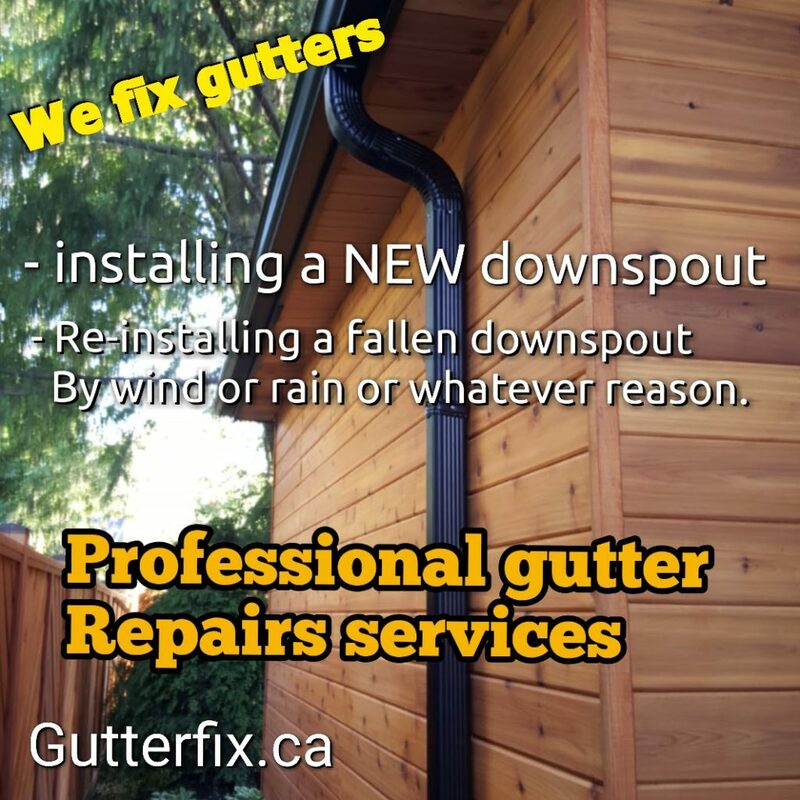 For Toronto and GTA surrounding areas homeowners and property managers, Gutterfix is your go-to expert for aluminum gutter repairs. We offer a free no obligation gutter assessment to see if your existing gutter system can be fixed. With most cases, we can add 10 more years to the life of the system by optimizing gutters for water drainage. As part of our 6 point assessment, we test the stability, alignment and performance of the entire system. When we provide our recommendations, we always consider critical issues such as the condition and type of roof, the pitch or angle of the roof, environment and locale. After repairs are done, unique homes situated at forested areas, may require a follow up gutter maintenance plan that can help it withstand more extreme weather and environmental conditions. Ask us about our year round maintenance service. Older aluminum gutters are often comprised of a combination of aluminum and trace amounts of other metals such as nickel or steel. If your gutters appear to be rusting, the aluminum is deteriorating based on a galvanic reaction to these other metals. We find that products manufactured outside North America tend to be made from a combination of metals that can react with one another. Gutterfix only uses quality North American aluminum of the highest purity when we repair your aluminum gutters. Visible Stains and Exterior Water Damage. Loose connections: gutters and downspouts.